Simple, girly and sweet outfit! I like it a lot! This is such a cute look. I love the style of the dress. The dress is too cute!! 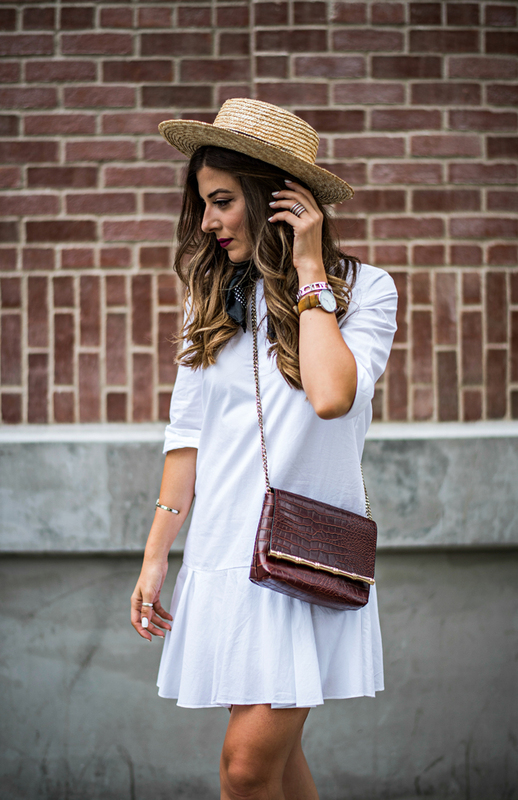 The white shirt dress is looking perfect on you! I think, every single detail of our dress can be customised including the design, style, fabric, colour, pocket shape, buttons and more. We have our own freedom to choose the details of our shirt dress, so we should make it possible to add our own personal taste to every outfit that we wear.